This MK3 model Mercedes B-Class represents the brand's third stab at what it calls its 'Sports Tourer'. As for what exactly one of those might be, you can get a feel for the answer at first glance. Here's a car that's clearly more practical and versatile than a Golf or Focus-sized family hatch. 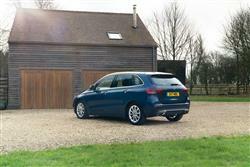 But not as frumpy and high-set as a five-seater C-MAX or Scenic-like mid-sized MPV. 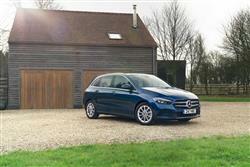 It's the Mercedes take on compact, upwardly-mobile motoring for a compact, upwardly-mobile family. Mercedes has always struggled to build compact, affordable cars that feel like, well..... a Mercedes. Not so long ago, you tried an original A or B-Class and thought it nicely built but not quite special enough, ultimately a very expensive way to buy a very expensive badge. And that was a problem. 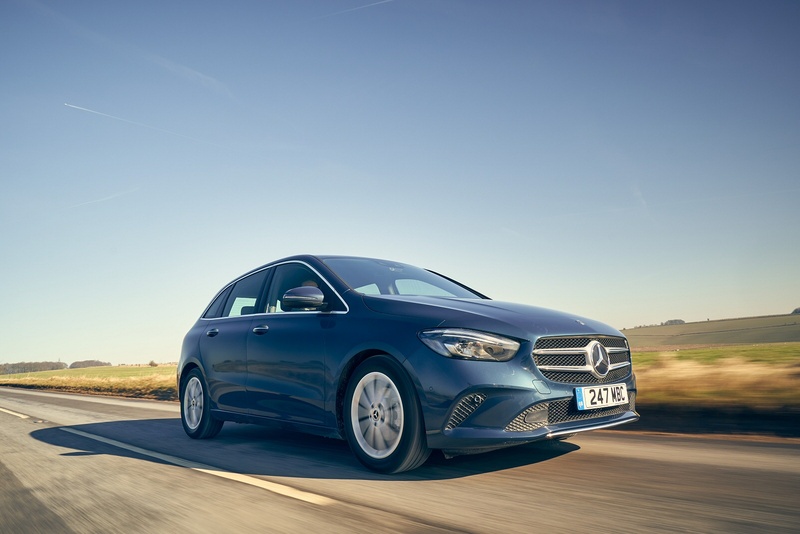 Executives, you see, rarely question the Three-Pointed Star price premium in their large, smart saloons and SUVs, its necessity obvious every time they ease behind the wheel. 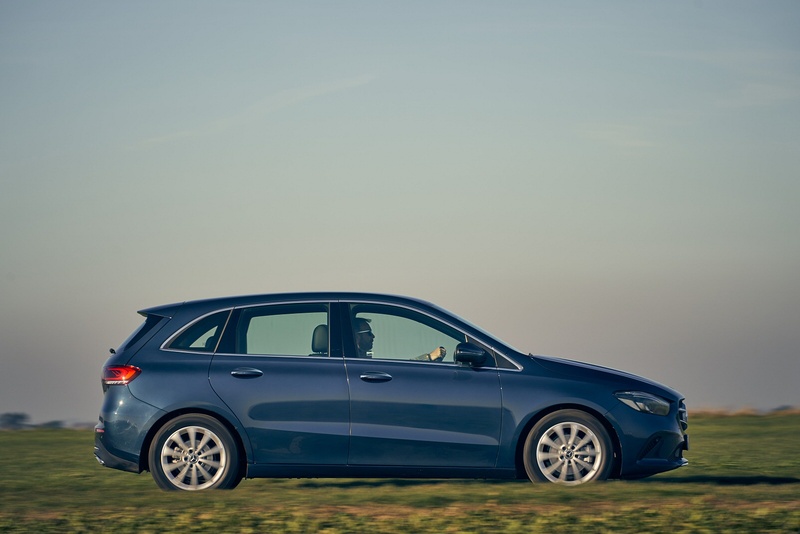 Without that extra class, choosing one of this brand's smaller models can sometimes seem like a colossally costly way of buying what in essence was a fairly ordinary family hatchback. The suits from Stuttgart knew it and in response have in recent times invested more than ever before in new, more Merc-like generation of compact models. This is one of them, the third generation B-Class which arrived here in late 2018. This time round, Mercedes is promising what it calls 'more sports for the Tourer' which, if true, would be nice because the previous generation version of this car wasn't especially interesting to drive. This one's not going to float any enthusiast's boat either but it'll probably be ideal for its likely family-orientated clientele. Any of these people wanting to get more of a move on when returning from the school run can this time round dial up a little more engineering response by switching between the modes of the provided 'Dynamic Select' driving modes system. Active adaptive damping can be specified to work with this set-up. Let's talk engines. 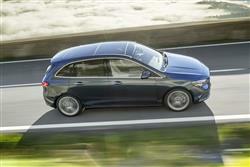 The B180 and B200 petrol variants both use a 1.3-litre petrol unit mated to 7G-DCT 7-Speed automatic transmission. This offers 134hp in the B180 and 161hp in the B200. The B200d and B220d diesel variants use a more modern 8G-DCT 8-Speed automatic transmission and feature the brand's latest 2.0-litre diesel engine. In the B200d, it has an output of 148hp and 320Nm of torque, while in the B220d, it generates 188hp and 400Nm. 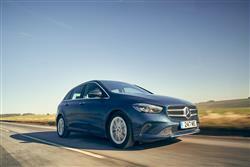 For the first time, the B-Class is able to drive semi-autonomously in certain situations. That's assuming you specify the optional 'Driving Assistance package' with its 'Active Distance Assist DISTRONIC' feature which uses camera and radar systems to anticipate the traffic up to 500 metres ahead, while predictively and conveniently adjusting the speed when approaching bends, junctions or roundabouts. Pretty much everything's new here and this time we're promised a proper 'premium' feel from this car, inside and out. The designers' brief was to make this MK3 model B-Class stand out from volume brand mid-sized MPVs and to that end, there's a long wheelbase with short overhangs, a slightly lowered roof line and larger, 16 to 19-inch wheels making for more dynamic proportions. 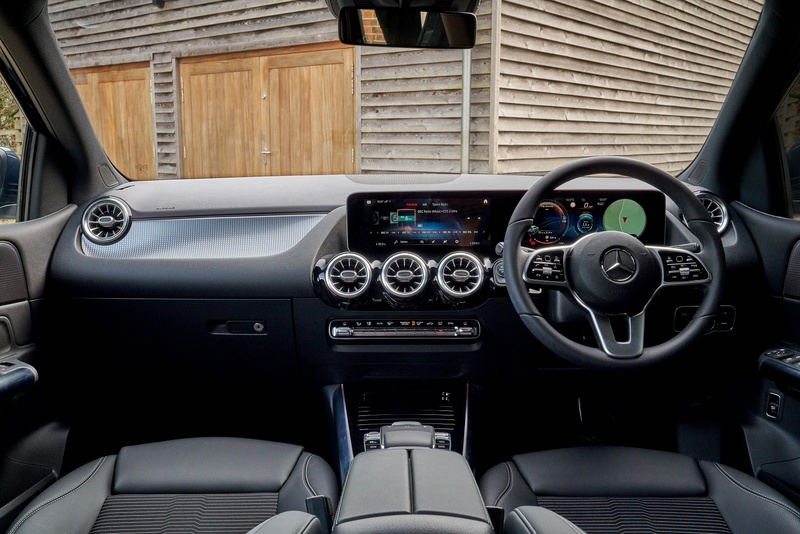 The cabin's come in for a spruce-up too, with materials quality improved and, like the current A-Class, a screen-dominated interior, with monitors of up to 10.25-inches in size for the infotainment display and the instruments. The key infotainment change is the introduction of the brand's MBUX operating system with its 'Hey Mercedes' voice functionality. The fascia's five round air vents feature a high-grade turbine look with finely styled air ducts, inspired by the world of aviation. On the back seat, the rear bench base can slide and the backrest angle can be altered to enhance luggage space, which can therefore vary between 455 and 705-litres with all seats in place. Fold the rear seat down and up to 1,540-litres of space can be freed up. You won't be expecting this B-Class to be priced alongside similarly-shaped volume brand mid-sized MPVs like the Citroen C4 Space Tourer and the Ford C-MAX. It isn't. But if you were looking at an upper-spec version of a contender like that, this Mercedes could still appeal. Prices sit in the £27,000 to £33,000 bracket and there are two trim levels available - 'Sport' and 'AMG Line'. The Sport trim line comes as standard with the brand's sophisticated MBUX multimedia system with 'Hey Mercedes' voice activation. 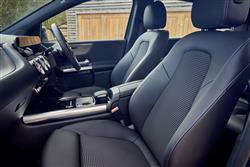 Plus you get a seven-inch instrument binnacle display and a seven-inch touchscreen centre-dash media screen. Along with a reversing camera, 17-inch ten-spoke alloy wheels, hard-disk navigation, automatic two-zone climate control and LED high performance headlights. Safety stuff includes Active Lane Keeping Assist and Speed Limit Assist. AMG Line customers will benefit from 18-inch five-twin-spoke AMG alloy wheels, a three-spoke multifunction sport steering wheel in nappa leather, sports seats, AMG body styling and Dinamica microfibre upholstery with red contrast stitching. 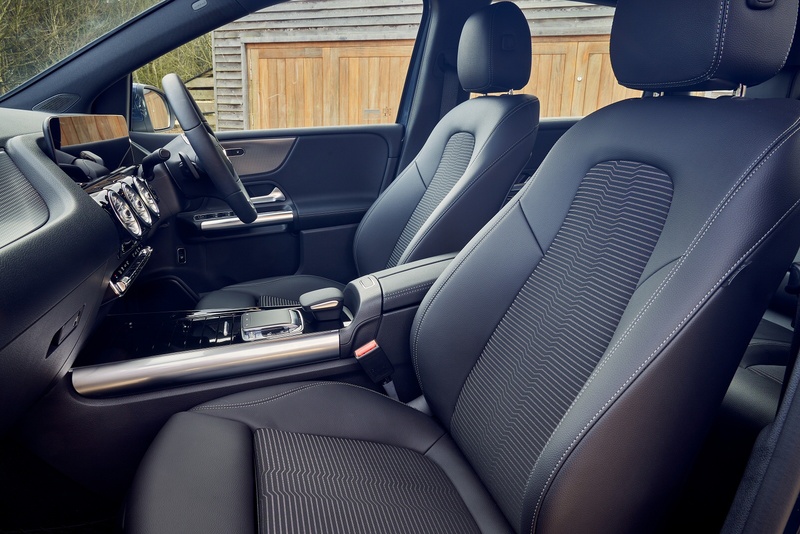 The optional 'Executive equipment line' pack includes a 10.25-inch media display, Active Parking Assist with front and rear parking sensors, heated front seats, electrically folding exterior mirrors and an automatically-dimming driver's side mirror and rear view mirror. The B-Class engine line up screams of efficiency with a very low drag coefficient and a number of energy saving features such as eco start/stop and the electrically-assisted steering system. So let's get to the figures. 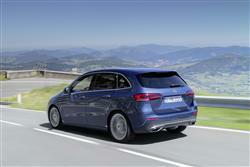 The B180 and B200 petrol variants return 51.4mpg on the combined cycle and around 125g/km of CO2. The B200d and B220d diesel derivatives manage 64.2mpg and around 115g/km of CO2. 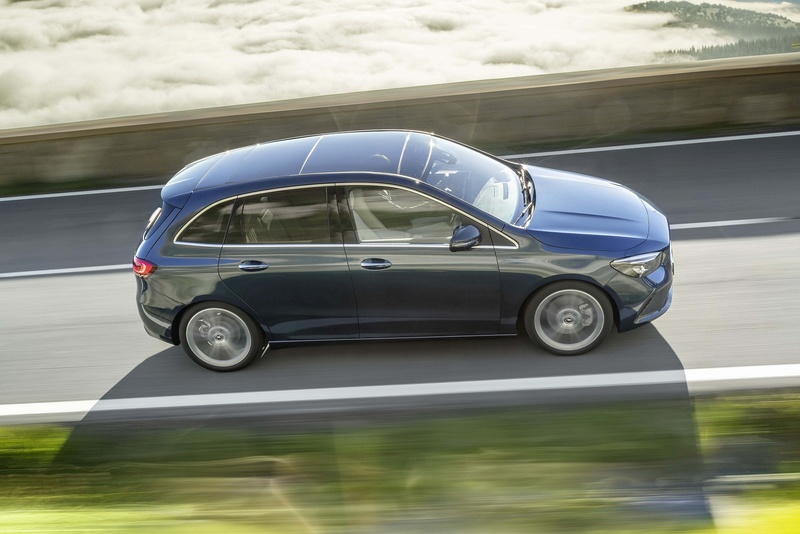 Depreciation of the old B-Class was slightly better than average for the mid-sized MPV class and this MK3 model should improve that a little further thanks to less residual dilution due to better standard equipment and also the beneficial effect of improved engine efficiency. What else? Well, you get a comprehensive three year warranty that has no mileage restriction. And this package is built upon by Mercedes' Mobilo scheme which delivers breakdown cover for up to thirty years, as long as you continue to have your car serviced at a Mercedes main dealer. And it's worth knowing that your maintenance outlay can be kept a little in check by going for the optional Service Care package that takes care of routine maintenance, spreading the cost of regular servicing, guaranteeing the price of parts and labour for up to four services and covering the cost of all recommended service items such as brake fluid, spark plugs, air filters, fuel filters and screen wash. If you�re looking for a new Mercedes-Benz B-Class B180 AMG Line Premium Plus 5dr Petrol Hatchback for sale, you�ve come to the right place. 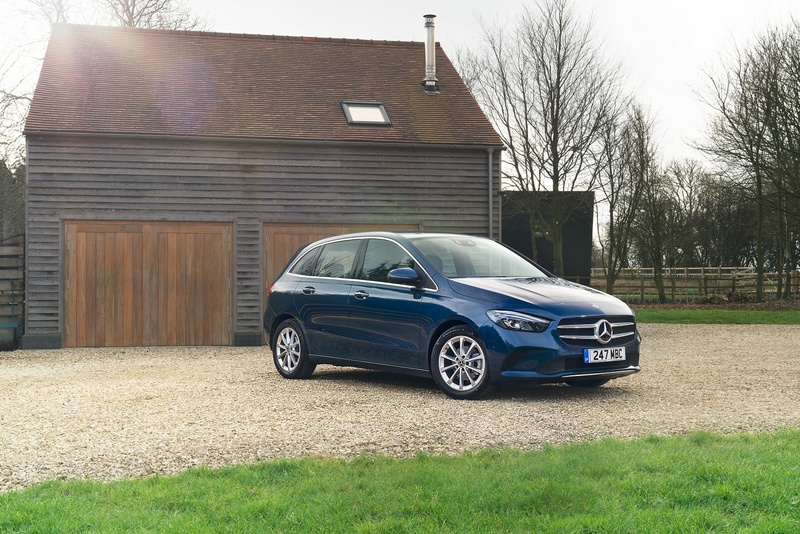 At Bristol Street Motors we don�t just have the best Mercedes-Benz B-Class B180 AMG Line Premium Plus 5dr Petrol Hatchback deals, we also offer friendly advice and help with all your enquiries to ensure your buying experience is a happy experience.